JV ATTRAVTION reviews plans. Set up a “Get Your Venture Capital Friendly Business Plan Now!” Phone Strategy Session at. ruth@JVattraction.com. What kind of plan does a Venture Capitalist want you to have? A one-page business plan is too brief. Rich Dad Poor Dad, Guy Kawasaki Business 10 page Plan is just the right size and is recommended to present yourbusiness to potential investors. It will also help run your business more effectively. The plan helps you and your potential investors know what market you serve, our operating costs, your unique selling proposition, your projected income and expenses, your competition, your team, your marketing plan, growth projection and exit strategy to sell your business in 5-10 years. How Do Venture Capitalist make their Investment Decisions? 3. 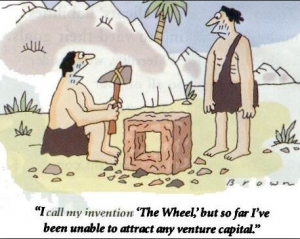 VC invest in the passionate business owner(s) with many of the right pieces in place. You are the business owner who needs a specific amount of money for equipment, production space and a modest salary to pay living expenses and grow the business. 4. VC invest in growth businesses that can be infinitely scalable rather than a life style business that is just designed to be run by the owners for a nice 6-7 figure income. 5. VC invest in a business with a clear exist strategy that can likely be sold 5-10 years in the future for millions of dollars. 7. VC want to work with humble owners who have low starting salaries to cover basic living expenses, equipment. Don’t expect a venture capitalist to take you seriously if you want to make your last corporate salary of $250K+. You are boot strapping your business, making sacrifices and being rewarded through commissions as you grow your business. 8. Venture Capitalist want to know what problem you are solving in the market place and how you can uniquely solve it. They don’t want another “me too” business that can easily be copied or knocked off by the competition. 9. VC want to make a profit and own a large percentage of your company. If they are putting out a lot of bucks they want to be rewarded for their risk. Owning 90% of a company that doesn’t generate any income is far worse than owning 20% of your company that makes millions. 10. When you bring on a VC you are not only attracting big investment dollars you are essentially hiring a business mentor success story that made their fortune starting and running profitable business and coach you to profitable success, saving you beaucoup bucks. As a business owner you need to make sure they are accredited investors and have a profitable track record before you hand over the reins of your business. 1) Write or revise you Guy Kawasaki 10 page Business Plan. 2) Email us with your plan and set up your free “Get Your Venture Capital Friendly Business Plan Now!” Phone Strategy Session at: ruth@JVattraction.com.